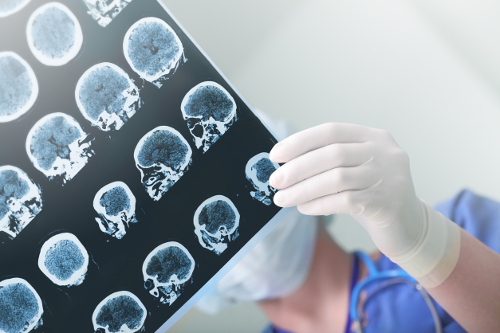 A cerebral infarction can happen suddenly to anyone, regardless of age or gender. Commonly referred to as a stroke, this affects your blood flow to the brain. Recognizing the signs and symptoms of a cerebral infarction may mean the difference between survival and death. We examine what to look for and possible treatments available to regain a normal life after an attack. Whether you call it a cerebral infarction or an ischemic stroke, it is the most common form of stroke—accounting for 87% of all cases. It refers to a blood vessel blockage in the brain caused by atherosclerosis, or the hardening of arteries due to buildups of fatty deposits. Any disruption of the blood flow to the brain cells can lead to brain death due to the lack of essential nutrients and oxygen. The symptoms of a cerebral infarction stem from the part of the brain that is being affected. Any of the following signs and symptoms should be taken seriously and immediate medical attention should be sought. During an attack, you may have slurred speech when speaking or have a difficult time understanding a discussion you are involved in. Sudden weakness or numbness may be experienced in the face, arms, or legs. It usually is localized on one side of the body, also causing one side of the mouth to droop. You can test this by raising your arms over your head to see if one arm falls slightly. This is one indication that a stroke is occurring. With a stroke, your vision may become blurred or completely lost in one eye. Double vision can also be present. A cerebral infarction will tend to bring on severe headaches that are usually followed by episodes of dizzy spells or vomiting. The dizziness experienced may also affect your ability to walk or move in a normal manner. You can have loss of coordination while you try to maintain your balance. The effects of a stroke may be irreversible, making it vital to recognize the signs and seek immediate help. To prevent permanent damage or death, doctors must first address the blood flow to the brain. The treatment must be started within three hours of the attack for optimal results. This is done with the application of aspirin to prevent blood clots or an injection of tissue plasminogen activator (tPA). Because this latter treatment is given intravenously, it must be given within four and one-half hours from the onset of symptoms. If necessary, the tPA may be given with a catheter at the groin site to directly target the brain through the artery. The blood clot may also be treated directly by inserting a mechanical device into a catheter and targeting the brain for removal of the clot. These particular treatments are only used at the discretion of the physician due to the possible risks. After the initial cerebral infarction treatment, you can expect to have a discussion to prevent future episodes. There are various procedures recommended based on your existing condition. A carotid endarterectomy sees the built-up plaque in your carotid removed with a surgical procedure. A more common procedure is to place stents within the carotid artery to keep it from narrowing. Your ability to return to regular functioning as before the stroke will depend on the amount of damage caused. Any damage to the right side of the brain affects the left side of your body, and vice versa for the left-side damage. Furthermore, if the left side of your brain sustains damage, your speech and language may be severely affected. Other issues may affect your vision, breathing, swallowing, and balance. These will be addressed with a rehabilitation therapy program. Lifestyle changes will be key in preventing another stroke. Some may be easier than others to undertake. A cerebral infarction can be a wake-up call for many living a less-than-healthy lifestyle. It should be noted that some patients have experienced an attack despite managing their health and diet as other existing health conditions may have put them at risk. You can minimize the effects of a cerebral infarction by recognizing the early signs and getting immediate treatment. With the right treatment, it is possible to not only survive a cerebral infarction, but to also restore the lifestyle you once had. “Ischemic Strokes (Clots),” The American Heart Association; http://www.strokeassociation.org/STROKEORG/AboutStroke/TypesofStroke/IschemicClots/Ischemic-Strokes-Clots_UCM_310939_Article.jsp#.WTAjQWjyvIU, last accessed June 1, 2017.